We Have A Date And A Place!! So it has happened! The thing I never thought would happen because it was taking forever. After waiting all this time, dealing with nasty venue people, and waiting some more, we have FINALLY picked a venue AND a date! I have to say it’s a little surreal to put a number on it. It hasn’t sunk in, it probably won’t until I’m in the dress and walking down the aisle. So OF COURSE I’m going to give you the details! 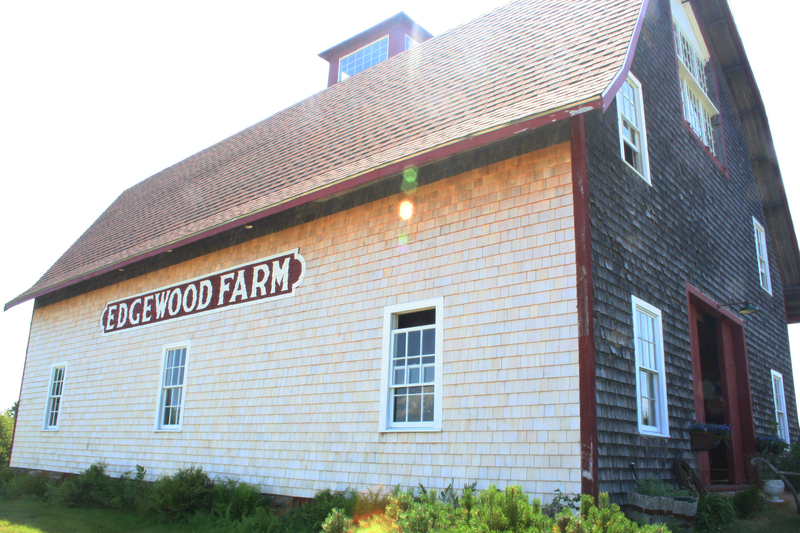 We have chosen Edgewood Farm on Deer Isle, Maine as our venue location and August 24th 2013 as our official wedding date! The drive out to the venue is a long one, about three hours from my house and probably about 4 or 5 from the nearest airport, but you cannot argue with the fact that it’s a gorgeous scenic drive! 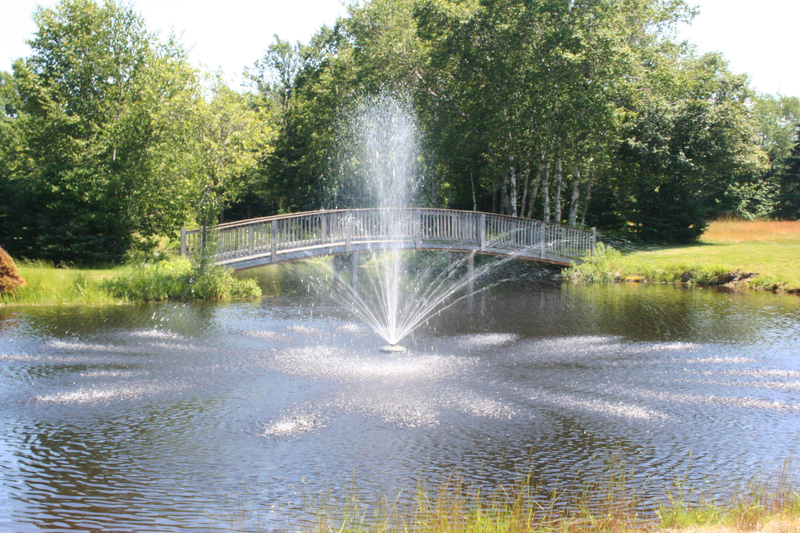 Maine, especially in the summertime, is just wonderful. It almost (I said almost) makes the winters worth it. I regret not taking pictures of our drive out, but I was the one driving and I think that’s probably illegal or something. When we got there we were greeted by the sweetest couple ever. 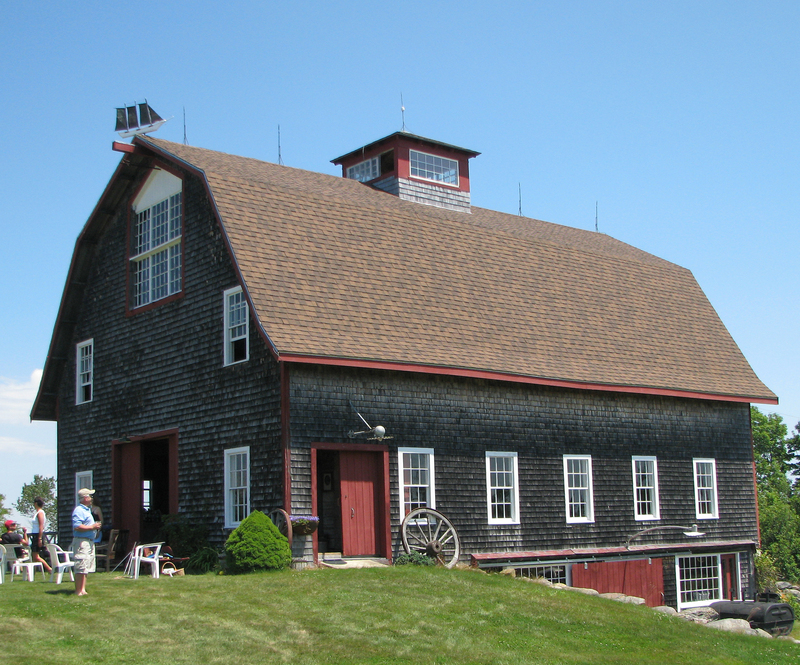 This barn has been passed through generations of the family and has been fully restored just for big events. This couple has been doing weddings for fun, and takes on only two a year! We are so lucky to be one of those two! The land that everything sits on is massive! 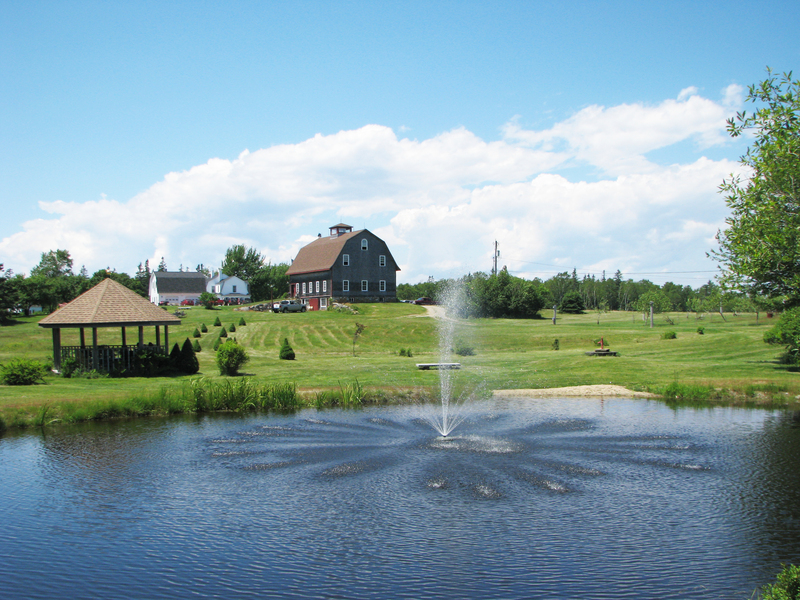 The barn is, of course, the focal point, but there is also a B&B on site as well as two guest houses. 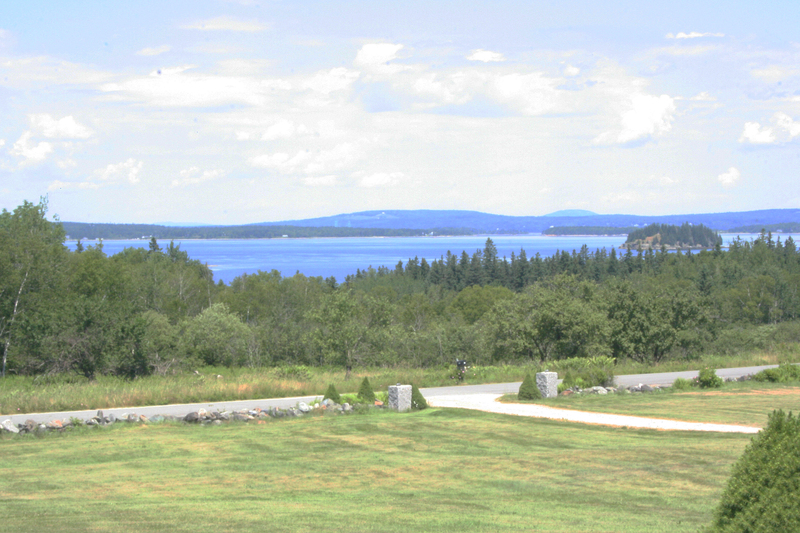 You can see the ocean from the site as well! I’ll let you have a look around! I especially love the gazebo as a great ceremony site! And there is the barn in the distance! So let’s take a closer look shall we? We would have access to the whole barn for a whole weekend! Which means lots of family bonding time, decorating and getting everything ready to go. Down on the side of the barn is where the food will be prepared. We will be having a traditional Maine Lobster and Clam bake, which I am SO excited about! I love Lobster! 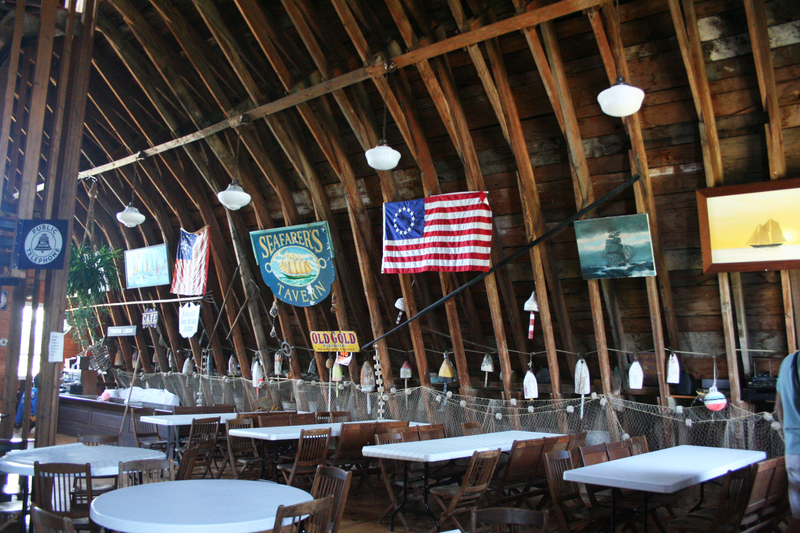 So before I show the interior of the barn, my one drawback for this venue is the way the barn itself is decorated. 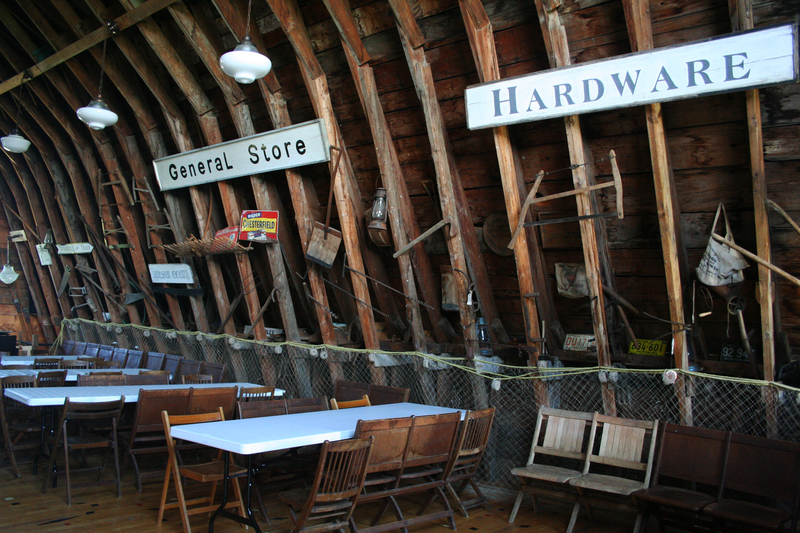 There is a lot of fishing gear on the sides and some signage on the walls, all are permanent fixtures. The best way to describe it is very “manly” decor. My mom said not to be too concerned. Once we put all of our touches on it, people won’t notice what’s around that, and she’s probably right, however I am still going to make a heck of a lot of colorful bunting to make sure that is what they see! The main room where we all eat is actually upstairs. 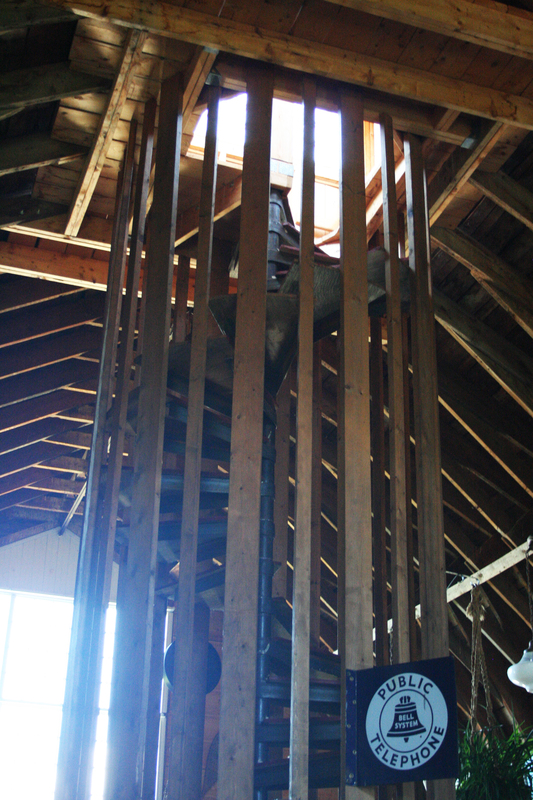 The barn has rafters that go all the way up and in the center of the floor there is a stair case that leads up to the cupola, it’s my favorite part! 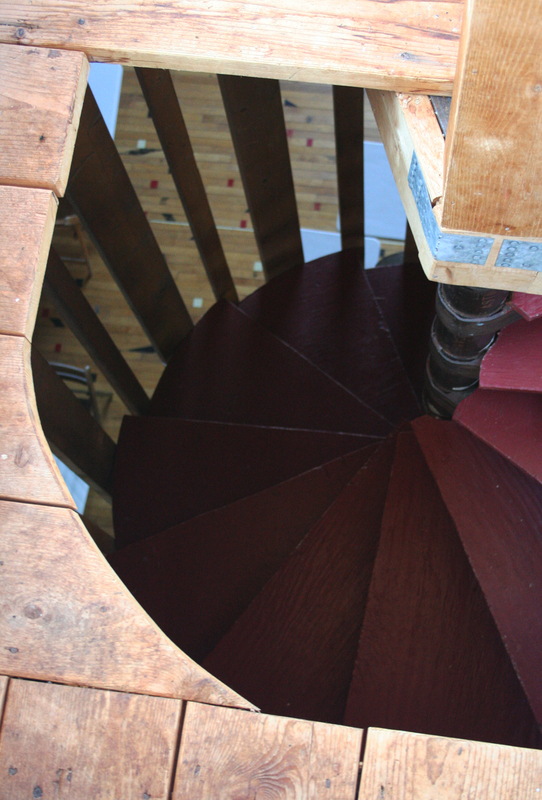 From the cupola you can look out all around the property! It’s so gorgeous! The dinner will take place up stairs but I think that we will have the dancing take place downstairs in the smaller room, that way if people get too warm they can just walk outside for fresh air. 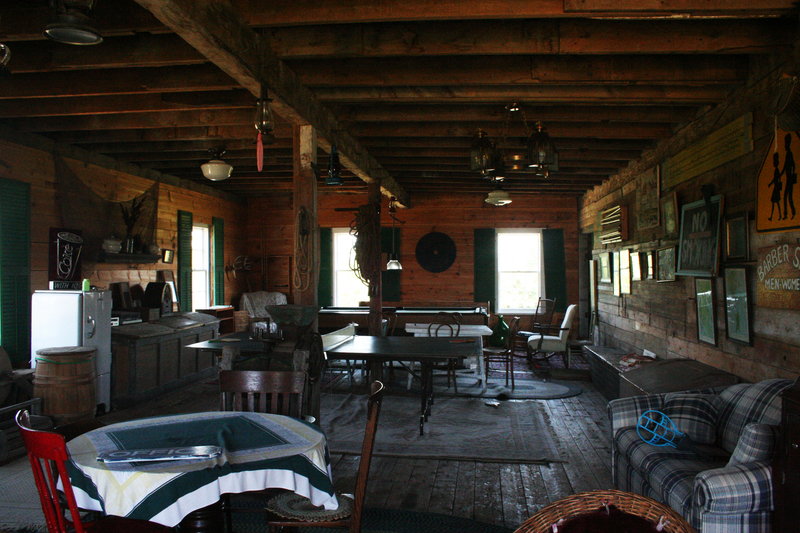 Currently the downstairs of the barn is being used as a game room, so that’s what you see going on. 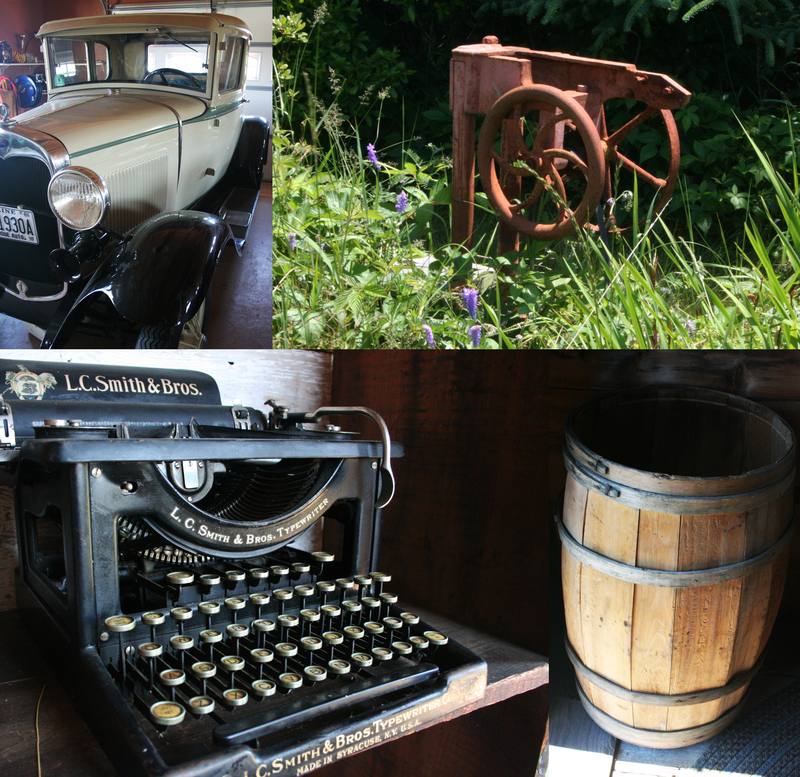 Throughout the whole property they have TONS of old vintage things. From all the signs on the walls to things in cabinets all around to the exterior where there is old farm equipment everywhere. The grounds just ooze rustic farm wedding. The classic car is for rent too! We are also able to rent almost everything from the facility for much cheaper than had we gone off site for everything. The location, the food, and the rentals are all being supplied there, we just have to swoop on in and decorate! And the best part is because this is a private farm owned by people who host weddings and events for fun, their prices are much lower than corporate places that want to eat your money! We couldn’t believe all of this was in our price range! We are so excited to have a date, and frankly, I’m relieved. It is stressful planning for some ambiguous day in the future, it is nice to put a face and a place to everything. From now on, all the projects I do and everything I plan can be around a specific place! Happy Fourth of July Everyone! I hope it is an awesome one! Mine will be filled with completing DIY projects to spruce up the venue space! Congrats!! Even though barn weddings are in right now, you’ve managed to find a pretty unique one! My daughter is correct! The site they have chosen is absolutely perfect for their wedding. I know that it will be a beautiful day, and their wedding will be perfect in every way. It will be just the way they have imagined it to be. And, she will be a beautiful and a very happy bride. This location is totally darling! I seriously cannot wait to see all your wedding pictures. It’s going to be the ‘oh so perfect’ rustic DIY wedding! Thank you! I have to fem it up a little but we’re really excited!